A financial adviser for CIBC says her entire branch was 'disheartened' by a recent report by Canada’s banking regulator, that said it did not find widespread misselling to customers. 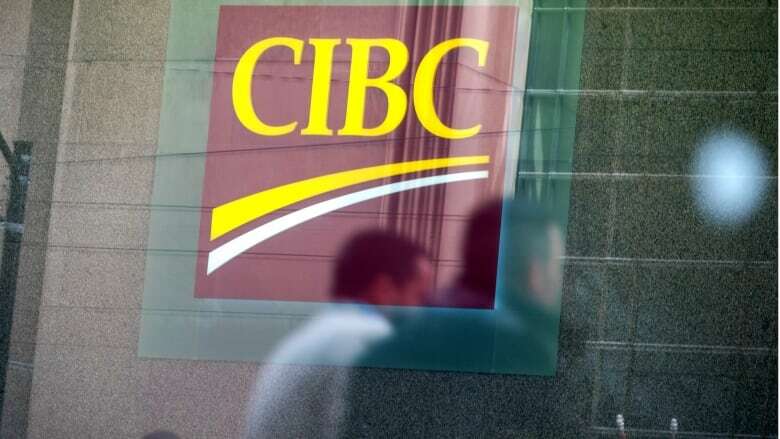 A CIBC financial adviser says she and her colleagues are "stunned" that a recent report by Canada's banking regulator did not find widespread instances of customers who were upsold due to pressure on employees to meet sales targets. "I can't even explain to you how disheartened we all were," says the financial adviser. CBC has confirmed her employment, but is not identifying the woman because she fears she would lose her job. "We've been waiting for a year for this report," she says. "It's very hard, because it doesn't feel accurate." The Financial Consumer Agency of Canada (FCAC) recently released the findings of a review of sales practices at the country's six big banks. It was prompted by a series of Go Public investigations last year, revealing intense pressure on bank employees to sell customers products and services they may not need in order to meet sales targets. Between May and November 2017, the FCAC interviewed more than 600 employees at BMO, CIBC, National Bank, RBC, Scotiabank and TD, reviewed 100,000 pages of bank documents and looked at more than 4,500 complaints. The regulator found that the requirement for retail banking employees to sell products and services "can increase the risk of misselling and breaching market conduct obligations," but also said it "did not find widespread misselling during its review." The CIBC employee says "there obviously wasn't good enough research," and that she is "doing daily harm to customers" because of her upselling. The financial adviser — and several employees from other banks who've contacted Go Public — say the pressure to sell initially eased up after media reports last year, but then gradually worsened. "Sometimes two, three times a day, you'll get an email wanting to know where are your sales numbers at? What have you sold today?" says the financial adviser. "Now that this [FCAC] report has come out, the [sales] pressure is 100 per cent full force. It's every single day. 'How many products did you sell?'" She describes feeling "desperate" to meet sales targets — by doing everything from tacking on a savings account, to extending a customer's line of credit, to putting customers into bank-owned investments [when another option might be more suitable]. "You're saying to customers, 'Let's go over your finances. I'm here and I want to help,'" she says. "But what we're doing is trying to find products you don't have, that we can sell you." In order to find sales opportunities — or "gaps" — the financial adviser says they're instructed to pull a customer's credit profile, which can affect someone's credit score. "You don't feel good. All the time," she says. "You go home and you know that you told somebody that they needed to put their money into an investment because you had gaps that needed to be filled." In an email to Go Public, CIBC spokesperson Caroline Van Hasselt wrote: "The actions described are not representative of our culture, which is focused on putting our clients at the centre of all we do. At CIBC, we are committed to continuously reviewing our business to ensure we do what's right for our clients every day." Michelle Bechthold of Airdrie, Alta., thinks she's a victim of the upselling the FCAC says its review did not find to be a widespread problem. She has filed a complaint to the FCAC about a recent issue with her bank, which is now being investigated. In December, Bechthold went to her local BMO branch and says the teller told her she "qualified for a complimentary upgrade" to her credit card. "All she said was, 'It's so easy, and you'll get all these [travel] points.'" says Bechthold. 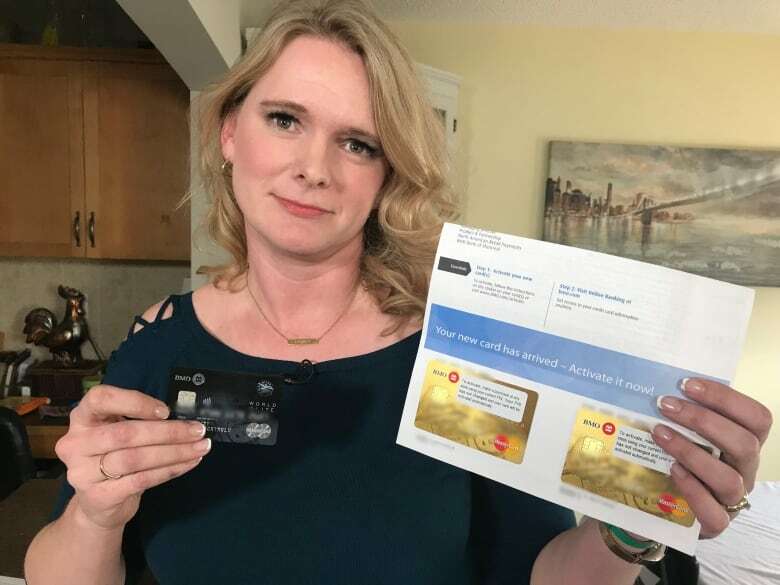 But when the card arrived in the mail, instead of having a 13.9 per cent interest rate like her current credit card, it had an interest rate of 19.9 per cent, something Bechthold says the teller never mentioned. "I would've never said, 'Send it,'" she says. "That's a six per cent increase on my interest rate. Are you kidding me? No way!" After Bechthold complained several times, BMO apologized and gave her $150 compensation. But she still doesn't trust that another new card BMO sent her actually has her original interest rate of 13.9 per cent, and hasn't activated it yet. BMO did not respond to a request for comment from Go Public. 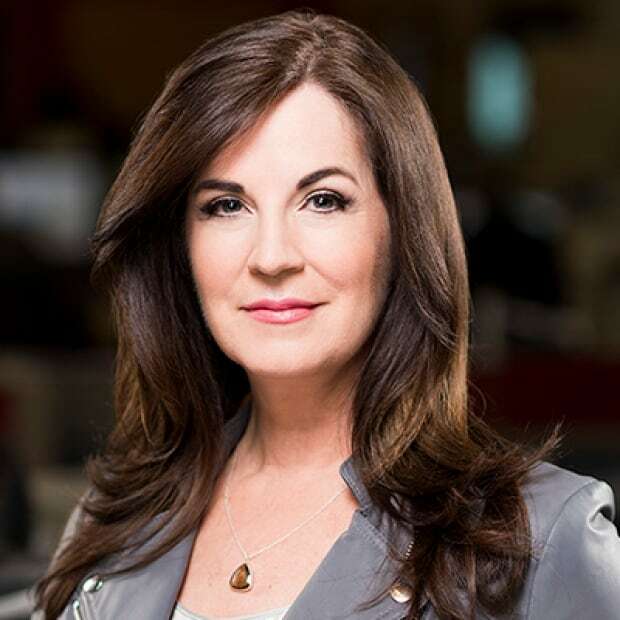 In an interview with Go Public, FCAC deputy commissioner Brigitte Goulard said she "can understand" why bank employees and customers might feel disappointed by the regulator's report. "The bank environment is a sales environment," says Goulard. "If you're not a salesperson, perhaps working in a bank is not for you … People [bank customers] need to know that the bank is not there to look after their interest." Goulard says the FCAC can't address many of the concerns the public and bank employees have about selling products. "Offering higher credit limits to Canadians or extending credit lines or offering more credit cards isn't, per se, illegal," says Goulard. "There are some questions about whether Canadians should have a third or fifth credit card. But that behaviour is not illegal." Goulard said the regulator's investigation did reveal an unnamed number of instances of possible wrongdoing, and those cases are now being investigated, along with 4,500 other consumer complaints the agency received between April 2015 and May 2017. The deputy commissioner says she encourages bank employees to contact the FCAC confidentially if they have concerns. Frank Allen of the Canadian Foundation for Advancement of Investor Rights says the FCAC review was too general — it didn't name banks where problems were found, it recognized sales targets as being an issue but didn't examine their impact, and made "vague recommendations" for banks to make improvements. "It's disappointing in the short term," says Allen. "But hopefully in the long term, it will be a step that advances the interests of bank customers." Allen says the report is more fodder for calls for the banks to have a best interest standard, something FAIR Canada has long championed. "It would require bank personnel to put the interests of the bank customer first," says Allen. "Not just focusing on sales targets." Go Public was contacted by the Canadian Bankers Association. In a statement, CBA spokesperson Dave Bauer wrote that banks are committed to operating with high ethical standards, "which has been consistently neglected in Go Public's reporting" and pointed to the fact that the FCAC's review did not find widespread misselling. "When mistakes happen, banks work diligently and quickly to make them right," Bauer says. 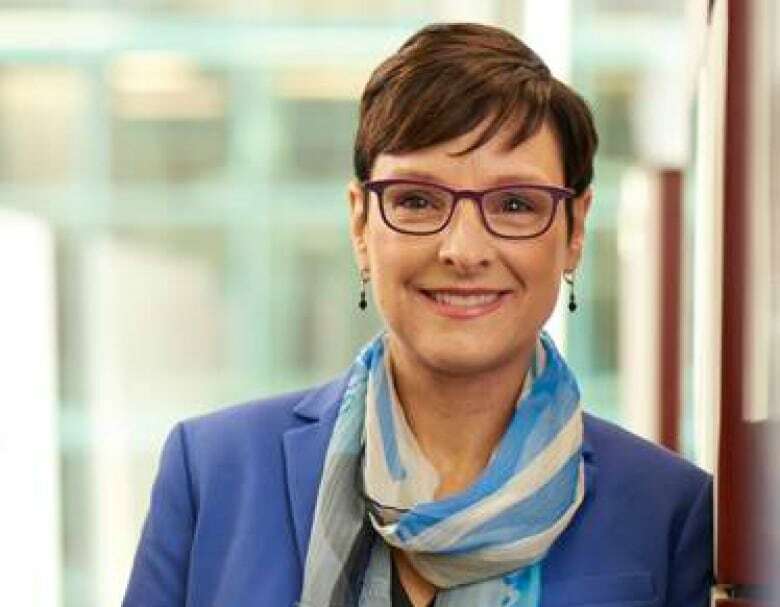 The CIBC financial adviser says she'll try to focus on the 25 per cent of her job that is actually about helping customers with good financial advice. "The bank should be a place you go to where you get the help, the support, the advice, and the products that you actually need," she says. "I understand it's a business. But to what end? And at what cost to Canadians?"